Continue the story in these great audio adventures! From original BBC productions to Big Finish, you'll find it here! A complete listing of the Doctor's adventures in literature! Starting with Target's episode novelizations and including the BBC's most recent original stories! What Doctor Who list would be complete without mentioning some of the new adventures in comic book form from Titan Comics as well as the past Doctor stories from Marvel? Want to discover the history of Doctor Who? Explore every episode from over fifty years of television! Much like when a new Doctor takes over, there's a fair amount of anticipation when a new comic book publisher takes on the licensing rights of Doctor Who. How will the writers approach the character? Who will be handling the artwork? And of course, there will be inevitable comparisons to the previous publisher. 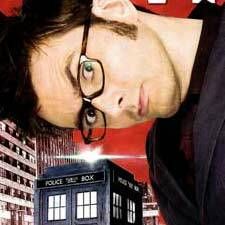 In Titan Comics' case, they've immediately taken a different approach from IDW Publishing by creating regular ongoing series for both the tenth and eleventh Doctors. Let's take a look at what they've done with Doctor number ten. 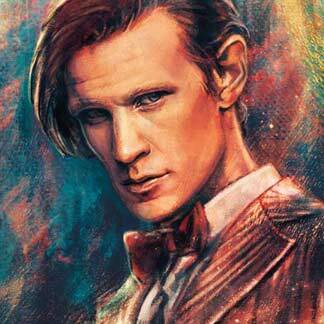 Just found out Titan Comics have released a couple images previewing their new line of Doctor Who comics. The Full images by Alice X.Zhang can be checked out here. Ever wondered how to keep track of the Doctor's journeys, well here's something cool that the BBC just posted on their Doctor who website. Just what we need an actual Doctor Timeline. Never be cruel, and never be cowardly, and if you are, always make amends. A fun and sometimes humorous look at Doctor Who. Throw in plenty of cartoons and illustrations for added enjoyment. Think you know your Doctor Who? Try your hand at this twisted collection of Timey Wimey words. Looking for Doctor Who Merchandise? Now you can shop for books, dvd's, toys and more all from our convenient online store.